See more objects with the color silver tan darkkhaki darkolivegreen darkolivegreen or see all the colors for this object. 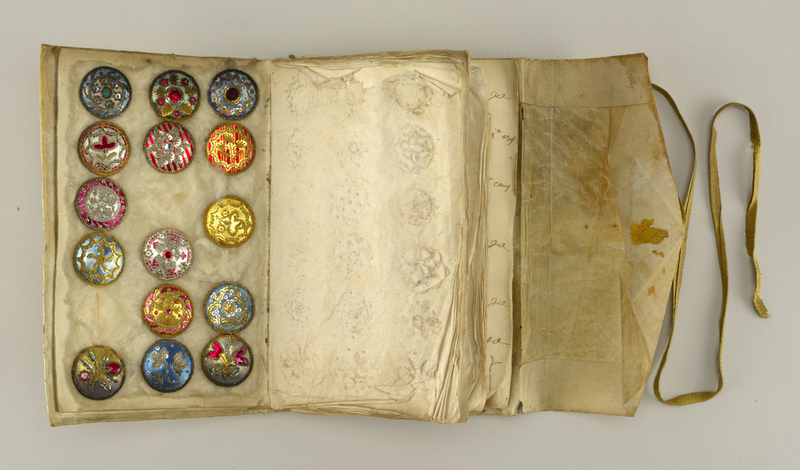 This is a Button sample book. We acquired it in 1962. It is a part of the Product Design and Decorative Arts department. This object was bequest of Richard Cranch Greenleaf (American, 1887–1961). It is credited Bequest of Richard Cranch Greenleaf in memory of his mother, Adeline Emma Greenleaf.